I drew the illustration for the pudding RECI-TEE before I ever made chocolate pudding from scratch. It was so CUTE! I had to come up with a recipe. 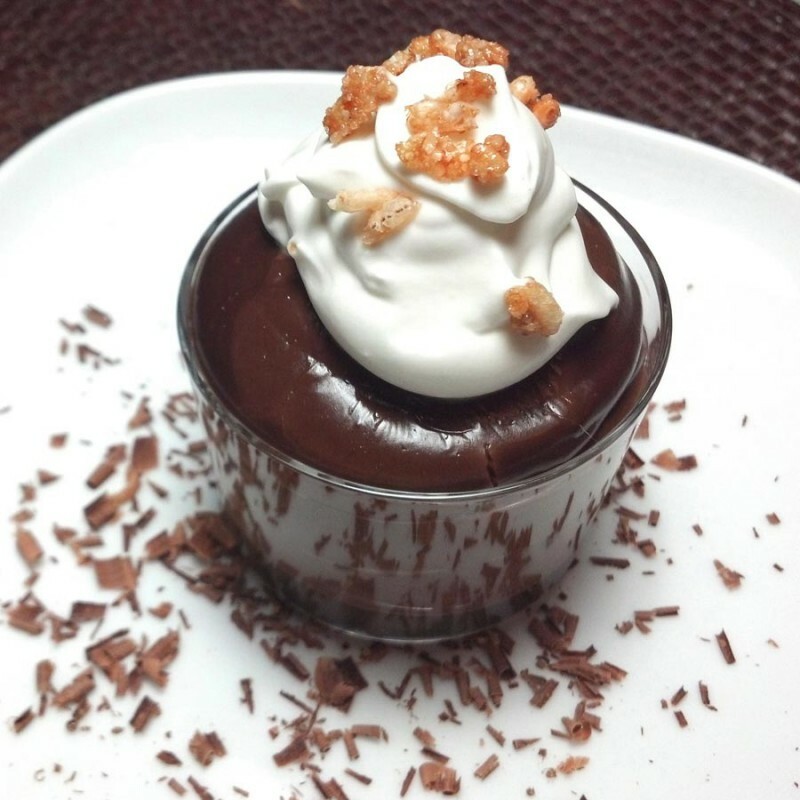 This chocolate pudding makes people swoon and it’s so simple to make! Sift together cocoa, sugar, cornstarch and salt into a medium bowl. Whisk in milk and cream and mix into cocoa mixture until smooth. Pour through a fine strainer into a medium heavy bottomed saucepan. Set saucepan over medium flame and with a wooden spoon, stir slowly, but constantly till mixtures thickens and boils for one minute. Remove from heat and quickly stir in 1 tsp vanilla. Pour immediately into container and place plastic wrap directly on top pudding surface to keep a skin from forming. Cool at room temperature for 15 minutes then refrigerate till cold about 2 hours. Spoon into serving dishes and garnish with whipped cream and chocolate shavings to serve. Yield: Makes 4 - 6 servings. Add something crunchy like caramelized crisped rice or toasted nuts on top of the whipped cream. I’ve been cooking since I could peel a carrot and think about food pretty much all the time. People ask me what my favorite food is and I have NO IDEA. The one thing I do know is I cook to make people smile. Enjoy my recipes.